Evangelia Tastsoglou is Professor of Sociology at Saint Mary’s University and currently elected member of the Executive Committee of the International Sociological Association (2014-2018). 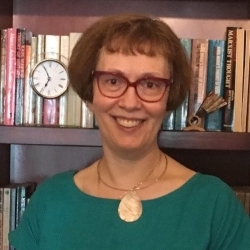 Her research, published in national and international peer-reviewed venues, engages feminist and intersectional perspectives on women, gender and various aspects of international migration; Canadian immigration and integration; violence, citizenship, transnationalism and diasporas. Among her co-authored and (co)edited books are: Women, Migration and Citizenship. Making Local, National and Transnational Connections (Ashgate, 2006); Women, Gender and Diasporic Lives. Labor, Community and Identity in Greek Migrations (Lexington Books, 2009); Contours of Citizenship: Women, Diversity and the Practice of Citizenship (Ashgate, 2010); Immigrant Women in Atlantic Canada. Challenges, Negotiations, Re-constructions (Canadian Scholars’ Press / Women’s Press, 2011); The Warmth of the Welcome: Is Atlantic Canada a Home away from Home for Immigrants? (Cape Breton University Press, 2015); and Interrogating Gender, Violence, and the State in National and Transnational Contexts, in Current Sociology Monograph Series (Vol. 64:4, July 2016). Dr. Tastsoglou has served as president of RC 32 (the Research Committee on Women in Society) of the ISA (2010-2014) and chairperson of the Department of Sociology and Criminology at Saint Mary’s University (2006-2012). http://www.smu.ca/academics/departments/sc-faculty-staff-profiles-evangelia.html. 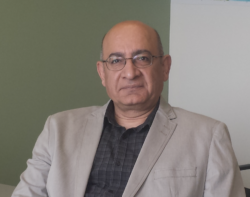 Abdie Kazemipur is professor of sociology and the Chair of Ethnic Studies at the University of Calgary. Prior to joining the U of C, he was the University Scholar in Social Sciences at the U of Lethbridge and the Stephen Jarislowsly Chair in Culture Change at Memorial. He has also been the founding academic director of the Statistics Canada Research Data Centres at Lethbridge and Memorial universities. His research is on the socio-economic experiences of immigrants in Canada, and the socio-cultural developments in the Middle East. He is currently working on the manuscript for his 9th book, tentatively titled Sacred as Secular: Secularization under Theocracy in Iran. His work has been continuously funded by SSHRC, including through a recently awarded Partnership Grant (2017-22) – titled Children and Youth Refugee Research Coalition – on which he is one of 13 co-investigators. His contributions have been recognized through the 2015 John Porter Award by Canadian Sociological Association (for his book, The Muslim Question in Canada), and the 2018 Researcher Award by Canadian National Metropolis (for his contributions to immigration research in Canada). For more information, see his web site: www.abdiekazemipur.com. Henry Chow is a Professor and Graduate Program Co-ordinator in the Department of Sociology and Social Studies at the University of Regina. 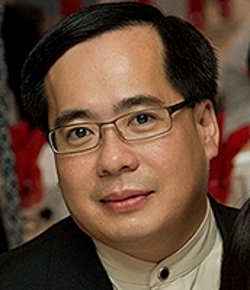 Professor Chow obtained his Ph.D. from the University of Toronto in 1997. Prior to his appointment at the University of Regina, he Taught at the University of Calgary in Alberta (1997-1999) and Trent University in Ontario (1996). From 1999-2011, he served as an adjunct faculty member in the Department of Sociology at Calgary. As well, he was a member of the Executive Board of the Canadian Ethnic Studies Association from 2001-2005. Professor Chow’s primary teaching and research interests are in the areas of immigration and multiculturalism, race and ethnic relations, social gerontology, the sociology of education, the sociology of religion, criminology and criminal justice, and survey research methods. His publications appear in Alberta Journal of Educational Research, Canadian Ethnic Studies, Canadian Journal of Criminology, Canadian Journal of Higher Education, Ethnicity and Health, Electronic Journal of Research in Educational Psychology, International Journal of Criminal Justice Sciences, International Journal of Criminology and Sociological Theory, Journal of Ethnic and Migration Studies, Journal of International Migration and Integration, Policing: An International Journal of Police Strategies and Management, Prairie Forum, Social Indicators Research, as well as Social Psychology of Education: An International Journal. 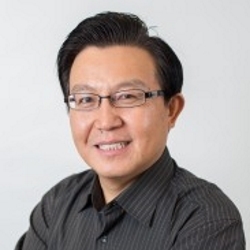 Shibao Guo is Professor in the Werklund School of Education at the University of Calgary. He specializes in citizenship and immigration, Chinese immigrants in Canada, ethnic and race relations, comparative and international education, and adult and lifelong education. His research has been funded by a number of organizations, including the Social Sciences and Humanities Research Council, Asia Pacific Foundation of Canada, International Organization for Migration, and Education International. He has numerous publications including books, journal articles, and book chapters. His latest books include Revisiting Multiculturalism in Canada (Sense Publishers, 2015, with Lloyd Wong), Work, Learning and Transnational Migration (Routledge, 2016), and Spotlight on China: Chinese Education in the Globalized World (Sense Publishers, 2016, with Yan Guo). He is past co-president of the Canadian Association for the Study of Adult Education (2009-2011) and a former Associate Editor of the Canadian Journal for the Study of Adult Education (2008-2011). Currently he serves as Co-editor of Canadian Ethnic Studies and Vice-President of Comparative and International Education Society of Canada. He also edits two book series published by Sense Publishers – Transnational Migration and Education and Spotlight on China. Department of Arts, Culture, and Media.